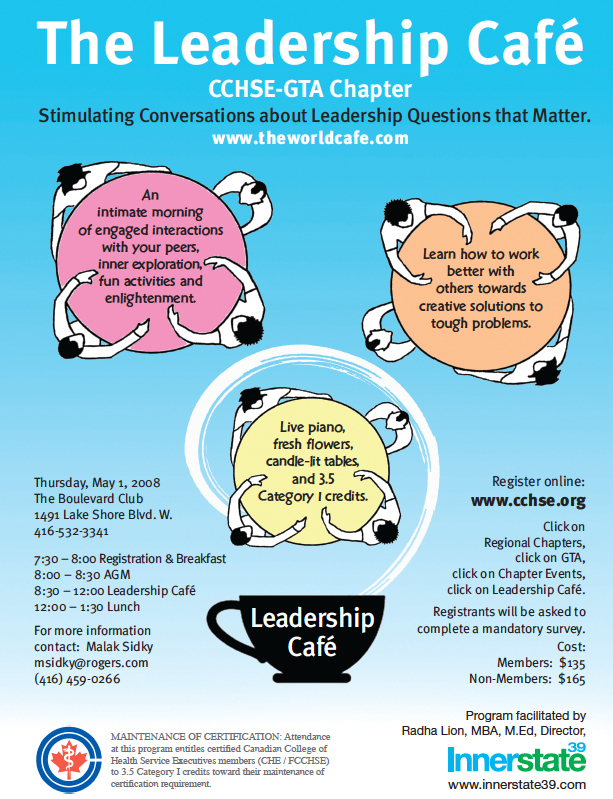 Stimulating Conversations about Leadership Questions that Matter. An intimate morning of engaged interactions with your peers, inner exploration, fun activities and enlightenment. Learn how to work better with others towards creative solutions to tough problems. Live piano, fresh flowers, candle-lit tables, and 3.5 Category I credits. Location: The Boulevard Club – 1491 Lake Shore Blvd. W.